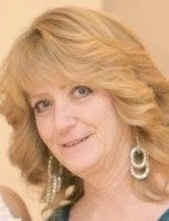 Allison, Barbara of Madison Heights passed away on April 8, 2019. She was born in Hazel Park on January 6, 1964 to the late John and Viola Rhodes. Beloved wife of Brian Allison. Loving mother of Danielle Allison and Courtney (Gregory) Fettes. Dear sister of Charles (Sue) Rhodes. Memorial Service, Saturday 3:00 p.m. Power and Praise Worship Center, Hazel Park. To send flowers or a remembrance gift to the family of Barbara Allison, please visit our Tribute Store. "Email Address" would like to share the life celebration of Barbara Allison. Click on the "link" to go to share a favorite memory or leave a condolence message for the family.